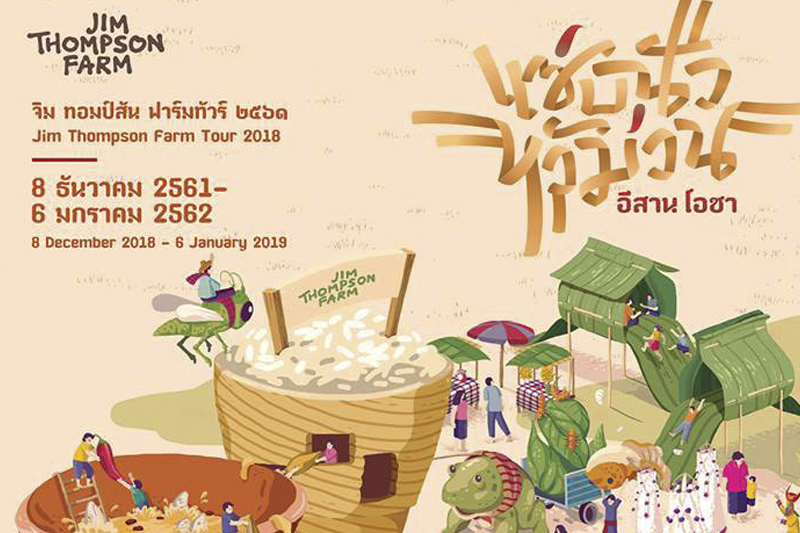 Jim Thompson Farm in Nakhon Ratchasima’s Pak Thong Chai district welcomes tourists from around the world to have a great time with nature and food once again. This year’s theme is “Zap Nua Hua Muan Isan Ocha”. More info at www.jimthompsonfarm.com.